Ever wanted to backpack around the United States by plane, but thought it would just be too expensive? The United States isn’t that popular of a destination for backpackers and budget travelers, most likely because the flights to get around the United States aren’t as cheap as they are in Europe or Asia. 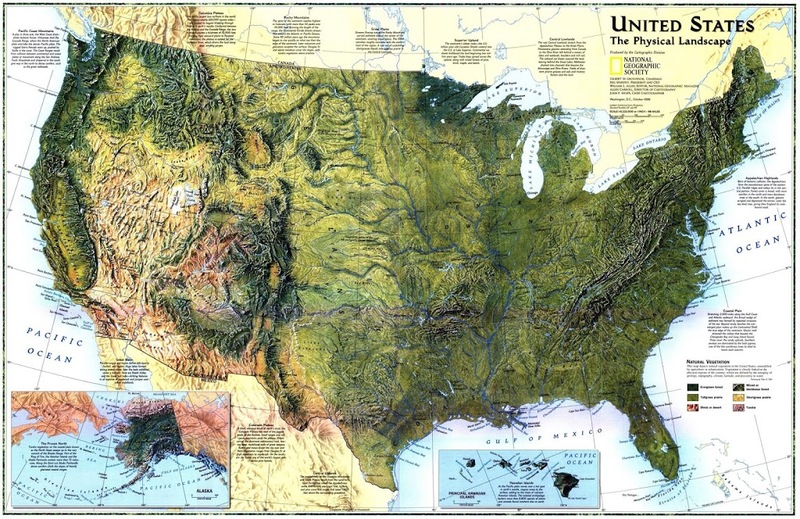 The United States is a big country (3rdlargest country in the world by area) with lots of national parks, a diverse geography, culture, music, and great regional food. You can rent a car and drive around, or get around by bus or train; but what if you would rather fly to get to your destinations even quicker? After doing some research online, I wasn’t able to find any articles on how to budget travel the United States by plane in the most economical way. 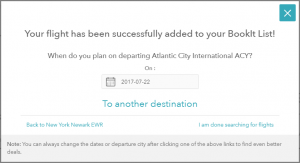 In this blog post, you’ll learn how to use the online tool SkySurf.Travel to find the most cost-effective way of traveling around the United States by plane. No mile points needed. For this example, I was able to build an itinerary composed of 14 states, all non-stop flights, for a total of $583 with taxes included. Most of these flights are with Spirit airlines*, and a couple with Frontier airlines**. Below is a list of cities I’ll be flying to. I’ll be spending about 4-6 nights in each city for this example. The cost of each flight ranges from $30-$60. I’ve ended my trip in Atlantic City, NJ because there are frequent and cheap bus rides back to New York City (about $20). And here’s how I got these really cheap prices: First I clicked on the “Multi-city” tab, I then typed in “New York City” in the “Traveling From” input field, select the “Depart Date” (I’ve selected “May 2017” to see the cheapest destination I can fly to in May) and finally clicked the “Search Best Deals!” button. 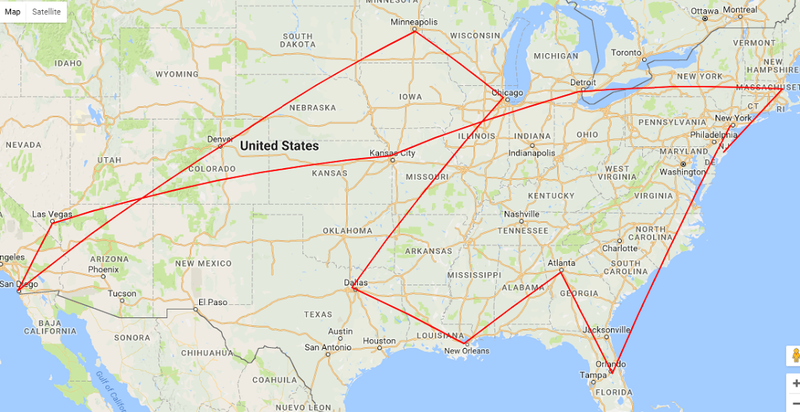 I select the date on when I plan on departing each city, and repeat this process until I’m satisfied with my “round-the-United-States” itinerary. Here’s a great article from the Huffington Post on 21 Ways To See America For Cheap. Not bad of a deal? 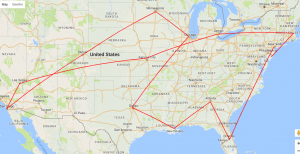 Traveling to 14 states by plane for under $600. If you can find a cheaper way of traveling around the United States by plane, post in the comments section below. *Spirit Airlines – To save even bigger on flight tickets with Spirit Airlines, sign up for coupon emails, or join the company’s $9 Fare Club. One personal item is included with a Bare Fare. This is something like a laptop bag or purse smaller than 18”x14”x8”. To see what a bag of this size looks like, click here: http://amzn.to/2v7ocYc. If you plan on traveling with additional/larger bags, click here for prices. **Frontier Airlines – Here are a few ways to save with Frontier Airlines. One personal item is included. This is something like a laptop bag or purse smaller than 18”x14”x8”. To see what a bag of this size looks like, click here: http://amzn.to/2v7ocYc. If you plan on traveling with additional/larger bags, click here for prices. Next Next post: India and Sri Lanka: 11 Cities by Plane for under $450 in One Trip!